Placing modern farming on the map. 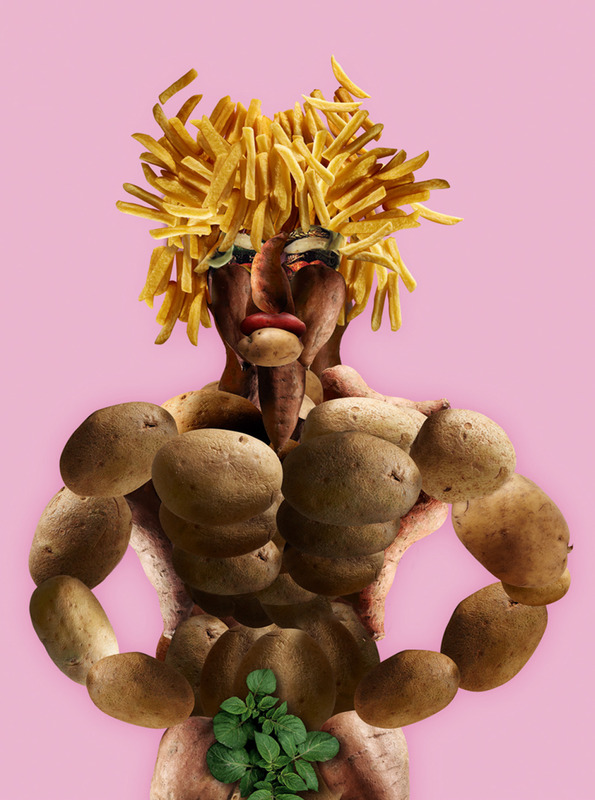 Funny detail: Potato Weeks 2018 is included in the Leeuwarden/Fryslân European City of Culture 2018 programme under the name ‘Potatoes go Wild’. 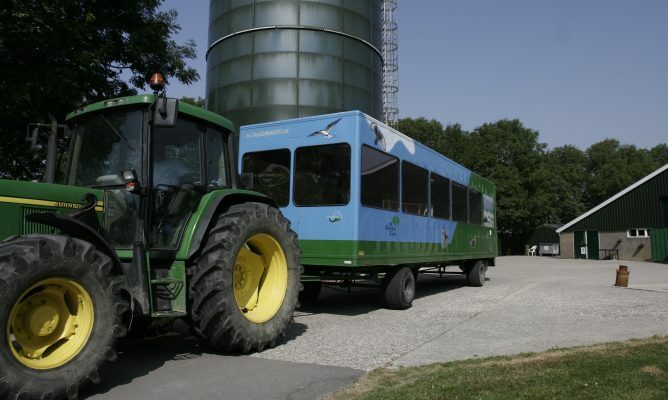 The idea behind our programme is, that the city meets the countryside and the countryside goes to the city. We expect around 20,000 visitors. Poetry from Friesland and Malta. In 2018, Leeuwarden and Valletta (the capital city of Malta) will be European Cities of Culture. Leeuwarden and the Bildt have had ties with Malta since as far back as around 1850. 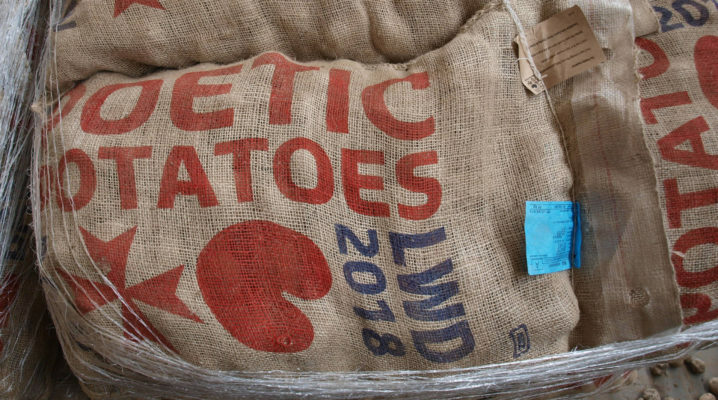 Every year, the first potatoes are shipped from the Bildt to Malta around the end of September and the new potatoes – grown from the seedlings – find their way back the same way the following March. Malta and Friesland are also officially dual language and have a wealth of modern and classic poetry, all of which has resulted in a literary poetry project: an exchange of Frisian and Maltese poems. 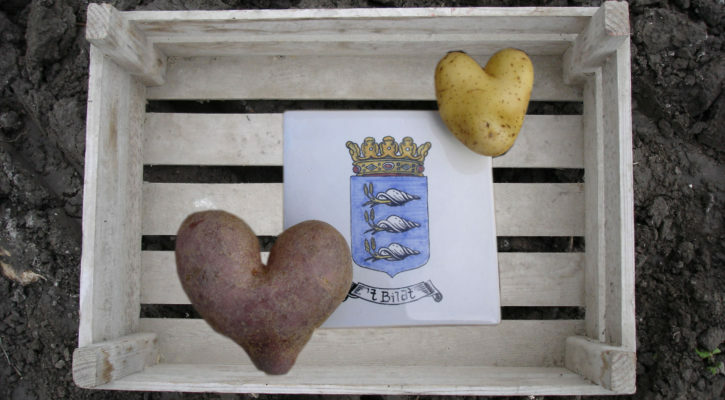 Around 25 artists from ‘the four States of Friesland’ in Northern Europe will be exhibiting in seven potato sheds on the Oudebildtdijk. The art has a direct relationship with the rural environment and is being composed by Anita van Os (Roos van Tudor, Leeuwarden). Visitors will also receive a guided tour of the farms. The exhibition is free of charge. 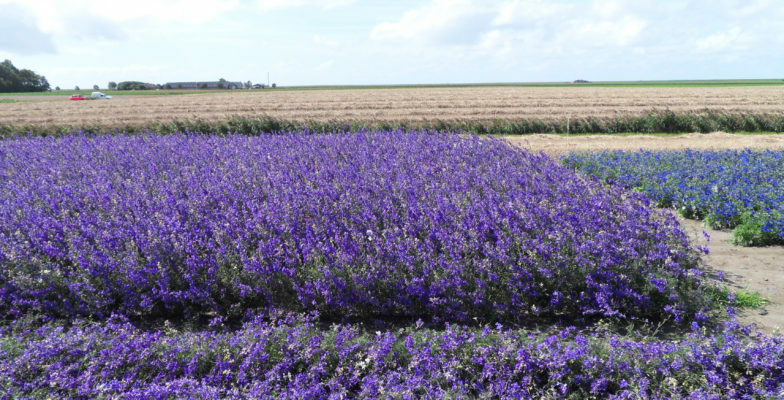 On a three hectare demonstration field on the Oudebildtdijk visitors will be introduced to new crops as well as old crops which were once grown on the Bildt. 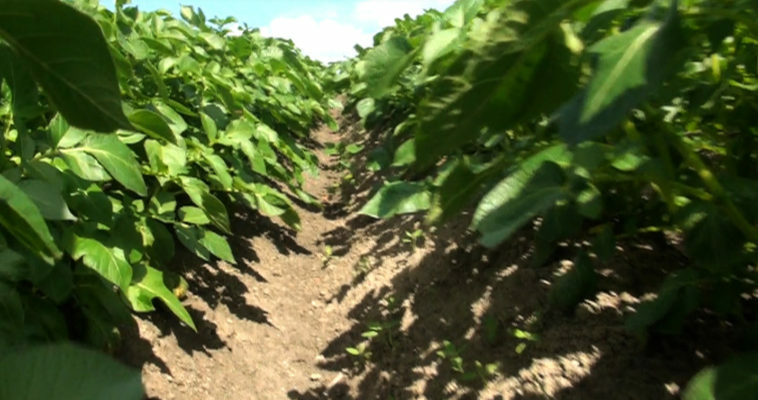 They will be provided with information about various varieties of potatoes, seeds, raw food, grains, etc., and about fertilising and crop protection. (Retired) farmers will be providing information and guided tours free of charge. There will also be a visitor centre. Students from the Senior Secondary Vocational Nordwin College will be on hand to help. 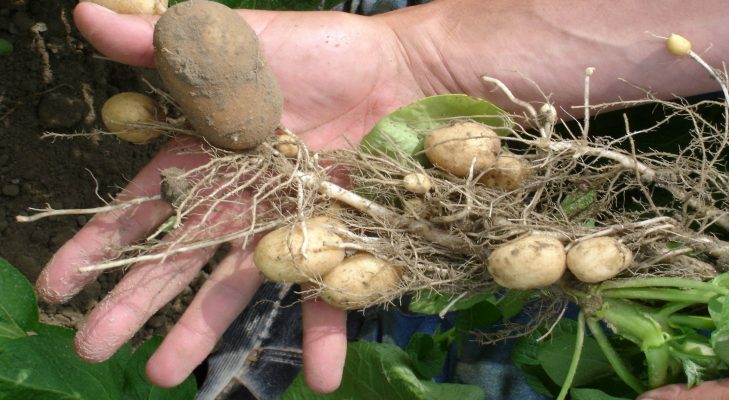 The Bildtse Potato Weeks 2018 will be officially launched with a symposium about the future of potato production. 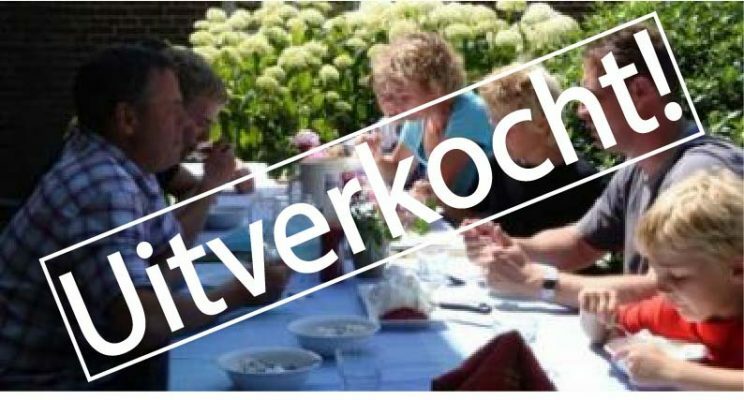 Various speakers from home and abroad will be giving their vision about themes suchas: innovation, sustainability, the importance of local produce, etc. We have organised these symposia in conjunction with the Stenden University of Applied Sciences and the Friesian Young Famers. Sander de Rouwe, Deputy Province Fryslân. Potato dishes in farm sheds along the Oudebildtdijk, the longest street in the Netherlands. Visitors will be treated to a wide range of potato dishes using local produce. They can also visit the potato sheds to admire the art, and the farm will also be providing a guided tour for visitors before and after the meal. Dishes are being prepared in conjunction with students on the Hospitality, Bakery & Management course at the Friesland College. Music theatre performance overlooking the fields of Nij Bildt. This large-scale outdoor performance in a field beside Zwarte Haan, with more than 150 players and musicians, is about ‘the desire for more and more’. It is a critical performance about our tendency to squander things. The piece is based on the story of ‘de Bilkert’ Willem van Haren. He lived in around 1700 and was a diplomat, grietman (mayor/judge), traveller and writer and is buried at the Harenskerk in St. Annaparochie. The writer of this spectacular production is Bouke Oldenhof, music is by Egon Kracht and the producer is Sjoeke-Marije Wallendal. Special exhibition in the Natuurmuseum Fryslân (Friesian Natural History Museum). 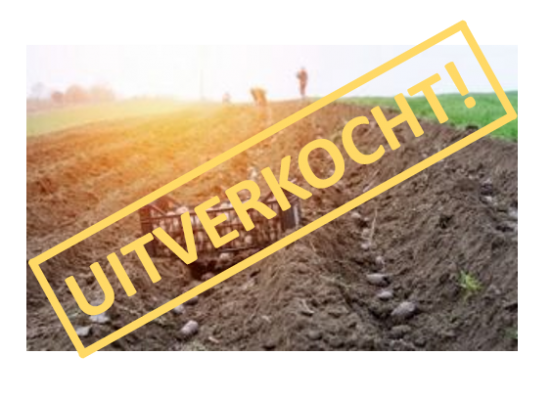 In November 2018 we will be concluding the Bildtse Potato Weeks 2018 with a potato exhibition in the atrium of the Natuurmuseum Fryslân in Leeuwarden. Artists will be there using potatoes to produce art and visitors are welcome to lend a helping hand where possible. The central theme is the link between the city and the countryside. Poetry project for primary schools. The start of the poetry project coincides with an exchange project for primary schools. In addition to recitals and coaching by poets, the children will also be exchanging poems. The first self-written poems by, in this case, school children from the Bildt, were sent to Malta in September 2014 in a container of seed potatoes. A reply was received in March 2015, along with the new Malta potatoes. Engaging multilingual teaching material has been developed, which has been made available to the primary schools. Pupils are helping to make the table cloths for the potato meal, using Dada potato stamp ideas. More than 2,000 pupils are taking part in the project.